Do I have to be a pilot in order to join? No, you don’t have to be a pilot to join one of our trips. On most of the trips, a professional pilot flies along that can take a maximum of five passengers in a 6-seater commercial aircraft. The costs vary and depend on the number of passengers that want to join the trip. The passenger seats are shared and offered directly by the aircraft operator. Contact us if you are interested so we can share with you the contact information of the aircraft operator. Do I get daily flight support? Yes! On group tours, a pilot with extensive African bush experience will be flying along in a support aircraft. You will in such cases be charged an additional concierge service fee for the guides and pilot flying along. Flight support: each flying day you will get an extensive briefing discussing the weather as well as route options. The pilot will also bring along survival equipment and we have aircraft engineers on standby to support us where needed in case we run into mechanical issues that we can not easily solve while en route. Additionally, we track all participating aircraft from our back-office with satellite trackers and the support pilot coming along has a way to communicate by satellite link. If you are not participating in a group tour, but flying on your own, we will support you from day to day with the clearances, permits, the filing of flight plans as well as giving you regional weather updates. However, we won’t be flying along with you in a support aircraft. 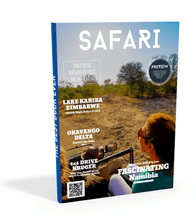 With how many aircraft will we fly on self-fly safari trips? Usually, we limit our group tours to 4-6 aircraft plus one support aircraft on self-fly safari tours with a maximum of 8-12 guests plus the guides. The tour information page will inform you about the maximum group size for that specific tour. As African Flying Adventures, we offer arrangements for the group safaris at a full catering, all-inclusive price. That is, our offer includes the hotel/lodging full-catering but does not include any airfares, local (taxi) transportation except on arrival on the first day where we pick you up from the airport and on your last day back to the airport. Specials wines, champagne or spirits that you order in the lodges are excluded from the all-inclusive price. For custom designed personal trips, the situation might be different from above, in which case we will specify on our offer to you what is included and what not. Check the Tours details for more information specific to each Tour. How many need to participate for group trips to go-ahead? We specify with each Tour if the Tour is guaranteed to depart or if we need a minimum number of participants to sign up. For Oddballs’ Camp in the June 2018 trip, the baggage you can bring along to the island is limited to 20kg per person, packed in soft bags only. The flights will be with Cessna 206/210 or equivalent aircraft from Maun to the Delta bush airstrip on Chief’s Island and operated by Delta Air. Water levels in the Okavango Delta are not high every season: this can be a limiting factor on the mokoro excursions to short trips across channels to access areas for guided walking. Bring along good walking shoes with you. Although water activities can be limited due to the water level in the delta, this is very good news for game viewing, as with lower water levels game viewing is phenomenal. If you are planning to fly as pilot in your own or rented aircraft, it is best to bring your own headsets for you and your passengers. If you bring a hand radio, the radio needs to go into the check-in luggage and cannot be carried on board as hand luggage when you fly commercial to South Africa. If you are planning or want to participate in a walking safari or a sleep-out in the bush in the open air with one of our field guides, bring a sleeping bag and good walking shoes. In any case, it is advised to bring a hat to protect against the sun. View more FAQ on the FAQ page. How about vaccinations and malaria? Malarone seems to be a better medicine for pilots than Lariam. Ask your general practitioner or visit the vaccination office for advise on what to use best. Always inform them that you are a pilot. You will be travelling through countries such as Zimbabwe and Botswana for which you might need additional vaccinations. On the wine tour, can I buy wine and get them home? On our wine tours, you can buy the wine you taste at the wineries. If you want to buy wine, we will provide with a box specifically designed to ship wine and we will ship it to your home address free of charge. Do I have to be an experienced pilot to fly along? You need to have an FAA PPL, EASA PPL or ICAO recognized PPL license in order to be able to validate your foreign license and get an equivalent South African PPL license. The Tour is a VFR flying tour and all the airfields are of normal lengths. This is an opportunity to go to more challenging bush strips for those that would like to take up the challenge, but they are not an integral part of the Air Safari Tour. One of the reasons for coming on one of our tours is that we guide you all along, brief the weather with you each flying day and tell you what to avoid. There is also an opportunity to fly together with a safety pilot is you prefer. Fill in one of the forms on our website expressing your enquiry and interest into a specific trip and we will contact you to answer any questions you still might have. Then we will make you an offer by e-mail. Once you accept our offer, sign the agreement and the terms & conditions sheet and return them to us, we will send you an initial invoice for the downpayment. The downpayment amounts to € 1500,- p.p. per trip. On our proposal, we have indicated when we expect further payments. The last date for payment of the remaining balance of the costs of a trip will be due at least eight weeks before the start date. Do I have to buy aviation charts for this trip? You don’t have to get a Jeppesen subscription. All the countries we fly through are covered in SkyDemon, but without the visual approach charts for the airports and airfields we will be visiting, but including basic information on airspace and on airfields such as the runway length, direction, altitude, type of pavement, radio frequency and contact information. It is strongly advised to have SkyDemon installed on a tablet or iPad and to get a subscription for 1 year. With SkyDemon installed on your tablet, you are all good to go. The VAC (visual approach) Jeppesen charts for the larger airports we will be visiting will be made available to you. How can I best prepare for the flights through Africa? One way in which you can prepare is to read the Kindle e-book “Crossing Boundaries” which you can find on Amazon.com here. The author takes you along on his flights through the African continent. By reading this book, you should have a good understanding of what is involved when flying in Africa. If you are converting or validating your pilot license into a South African license, you will have to do one theory test in Air Law the moment you arrive in South Africa. We have created a free online course that prepares you for this theory exam as well as for the flying in Africa. You can find the course here. The Tours are offered by African Flying Adventures BV. African Flying Adventures is a Dutch Tour Operator based in Doesburg, The Netherlands. You can find the legal terms in the top menu under the section FAQs & TERMS as well as here. What is VVKR and STO? VVKR is the Dutch association of small-scale tour operators and travel organizations. African Flying Adventures is a member of VVKR. STO-reisgarantie (travel guarantee) is the organisation we use for PACKAGE TRIP Tours, where you pay towards an Escrow account to secure your payment until the Tour is over. Certo-Escrow is the escrow organization that facilitates this service on behalf of STO-reisgarantie. As a Tour Operator, we do not offer trip packages. A trip package would be a tour as offered by us that consists of a travel package consisting of more than one major travel component such as lodging/hotels, airfares/transportation or major activities. With our self-fly safari trips, we only offer you the hotel/lodging component. We ourselves do not offer any transportation, airline tickets or activities other than the safaris, game drives and bush walks offered by the lodges as part of their lodging arrangement. We can, however, also construct a complete individual tour for you, which is apart from our group self-fly safari trips. If the custom constructed tour we create for you includes more than one of the major travel components, we in effect are offering you a trip package. In these cases, you will have to pay the fees for the trip into an escrow account. For this, we use the Escrow service of Certo Escrow, where you pay to a third party and that third party pays us as soon as the tour is completed. What is a Package Trip? If a “Tour Package” or “Package Trip” is offered, it will be stated clearly with the Tour information on our website. In such cases, you will have to pay to an Escrow account from Certo-Escrow for the tour you book with us. "If there were one more thing I could do, it would be to go on safari once again." -- Karen Blixen, Danish author known for "Out of Africa," her account of living in Kenya.